Slots are perhaps the most recognizable casino game around the world. You can play them for nearly any value, from just one cent up to $1,000 a spin. It all depends on the way you feel like playing. Not only can you play the way you want, but there are so many varieties in the slots genre that you should have no problem keeping the games fresh and exciting while you play for serious rewards. Classic, 3D, Video, and progressive jackpot slots are just a few of the many varieties of the game and each has their own unique qualities that attract players every day. Whether you want a simple game without any of the frills, an intense graphically impressive game, or one that packs the casinos biggest payouts, there is something for you at the casino of your choice. Many of these games are created in partnership with major film and television studios, which allow designers to bring movie, TV, and comic book characters to a whole new medium for players to enjoy. MGM, HBO, Universal, and Marvel are just a few studios who partner with industry leading developers like Playtech, MicroGaming, and NetEnt. Get your fill of the most popular online casino slots without ever having to leave the comfort of home. You can play these games any time, day or night. Classic slots are a throwback to the days of old, when these reel games were simple lever-operated machines. Typically appearing in a 3-reel configuration, these games tend to have few symbols and only one line of play across the middle, matching from left to right. However, this doesn’t take away from their potential rewards, which can be just as substantial as more modern variations. 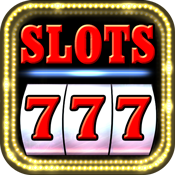 A more modern take on the slot machine, video slots can feature several more than three reels and potentially hundreds, and more than a thousand in some cases, lines of play. Graphics are a much larger part of the overall experience playing these games and they often adopt themes to deliver amore unique experience for players. 3D slots take graphics and rendering to another level, often captivating players with impressive design. 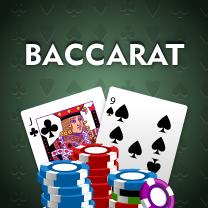 These games are the most modern innovation in online slots and they are gathering popularity swiftly. Try these slots games when you’re looking for a title that leaves a real impression along with big payouts. When you’re looking for the biggest payouts possible, these are the games to play. While a progressive jackpot slot can fall into any of the categories mentioned in this section, they all have one thing in common, a jackpot prize that sontinues to grow until won. 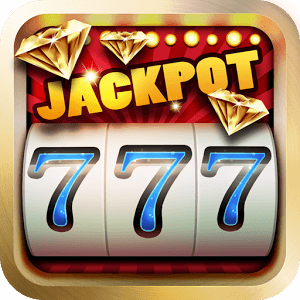 This jackpot can rise for a number of reasons, be it simply over time, taking a portion of wagers from each player’s bet, or from a linked network of casinos who contribute to the grand prize. Progressive jackpots can reach into the millions. When players are looking for branded games offering a familiar theme like those found in the X-Men, King Kong, and Gladiator slots, blockbuster games offer a new way to enjoy their favourite film, TV, and Comic characters. Often featuring impressive graphics, cut scenes from TV shows and movies, along with substantial jackpots, these games are a must for any adventurous player. Visit these casinos today to enjoy a superior selection of slots games with massive cash rewards ready for the taking.